A cutting-edge legal education. A close-knit community. Bryan Stevenson, executive director of the Equal Justice Initiative and author of the critically acclaimed "Just Mercy," will speak at law commencement. Our newest class includes 130 students from 28 states and five countries. Full class profile. 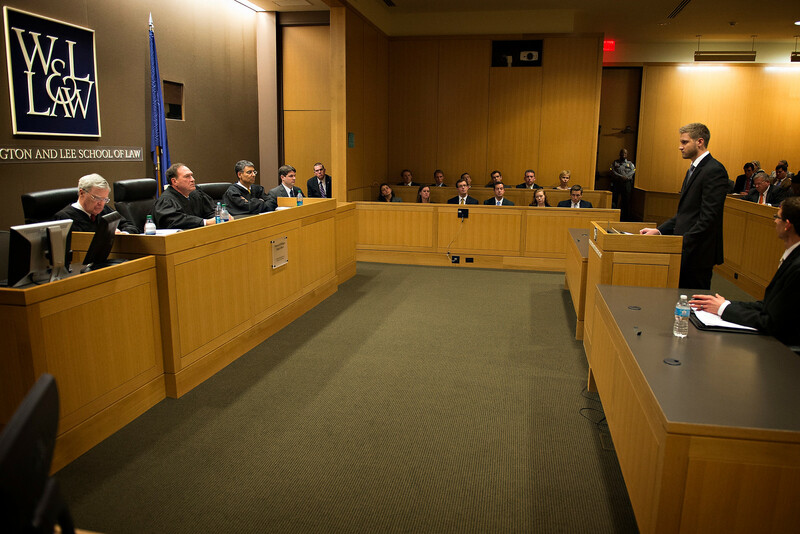 Over 90% of our students receive financial aid, and we rank continually among the nation's best value law schools. Law school is hard. Life in law school doesn't have to be. Our low cost of living and six minute commutes to campus are just some of things that make Lexington a great place to live during law school. Our liberal arts model provides small classes and unparalleled faculty access so students can design a legal education that is a custom fit for their career objectives. All students at W&L are guaranteed a lawyering experience with real clients. Learn more about our committment to experiential education. W&L Law is committed to great outcomes for our graduates. The Class of 2017 had a ten-month employment rate of 83 percent in JD required/preferred jobs, and the Class of 2018 is on track to exceed this mark. More employment outcomes. On average, our graduates take the bar exam in 26 different states, and our three-year bar pass average for first-time takers is 89 percent.